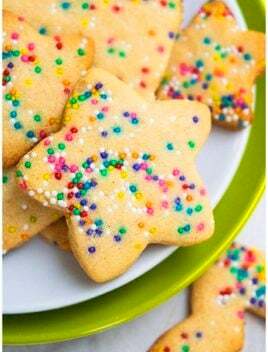 Quick, easy funfetti cookies recipe from scratch (cut out cookies), with simple ingredients. Crispy outside, soft inside. No chilling! No spreading! 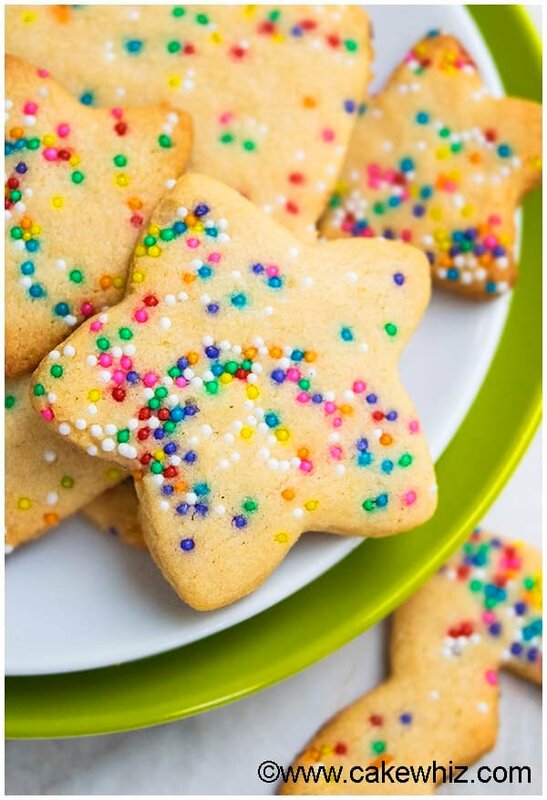 I am very excited to add these funfetti cookies to my growing sugar cookie recipe collection. They are so pretty and colorful. They have the perfect texture- crispy but soft and loaded with sprinkles. 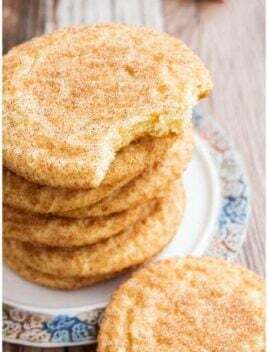 They are just as popular as my Chocolate Sugar Cookies (Cut Out) and Coconut Sugar Cookies (Cut Out). 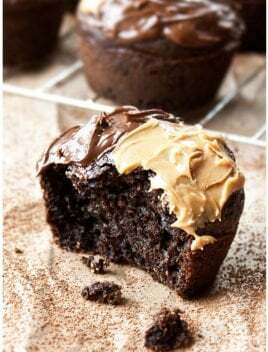 They don’t require any chilling and still hold their shape perfectly, when baking. Furthermore, they are great as a homemade gift, especially during the holiday season and Christmas cookie exchanges. Also known as cut out funfetti sugar cookies! How to make funfetti cookies? Add eggs, vanilla, sour cream. Roll dough between two sheets of wax paper. Toss sprinkles and gently press them down. Cut out shapes, bake and enjoy. 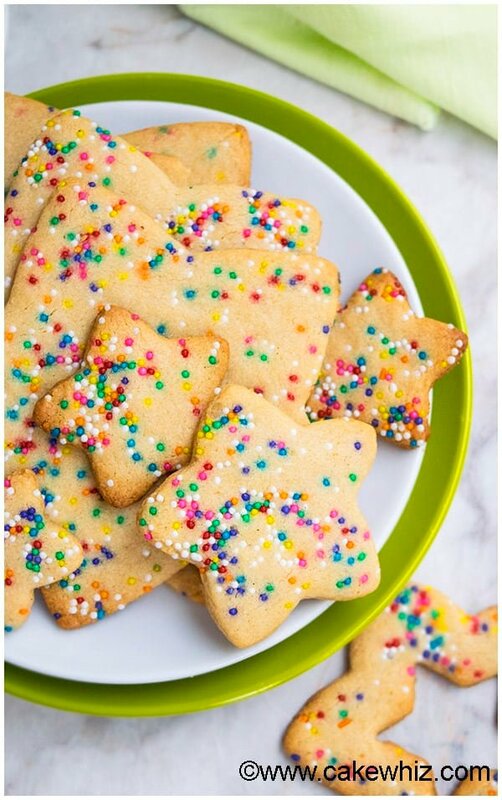 Use Christmas sprinkles instead of rainbow sprinkles. Red and green colors would work best. Spread the cookie dough in a rectangle baking pan. 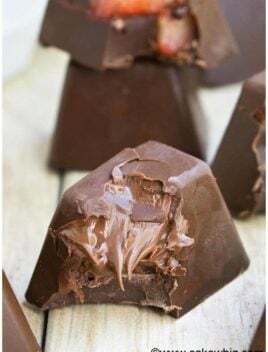 Bake and cut into square pieces immediately with a sharp knife. 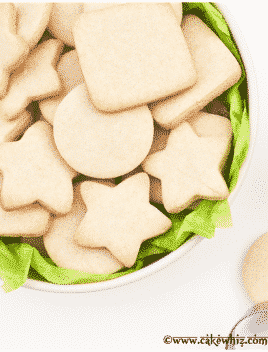 Use unsalted butter to prevent these cookies from becoming too salty. 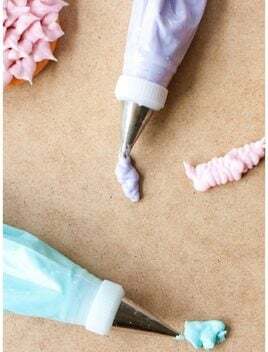 Great for cookie decorating, using Royal Icing or Glace Icing or American Buttercream Frosting, although they are already so beautiful that I don’t think it’s necessary. All ingredients must be at room temperature so that they blend together smoothly. 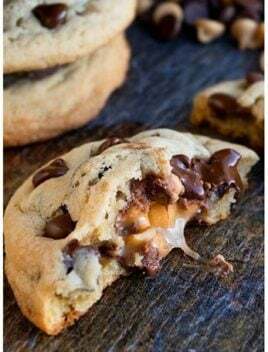 Don’t omit the sour cream because that adds moisture and prevents these cookies from becoming rock solid. Baking times may vary, depending on the thickness and size of your cookies. Add egg yolks, one at a time, while continuing to mix. Add sour cream and vanilla extract and mix until thoroughly combined. Add flour and salt and mix until you end up with a weird lumpy mixture. Now, just use your hands to knead this mixture into sugar cookie dough. Roll this dough between two sheets of wax paper. Then, remove the top sheet of wax paper and spread the sprinkles all over the flattened cookie dough. Place the sheet of wax paper on top again and roll it one last time so as to push the sprinkles into the dough. 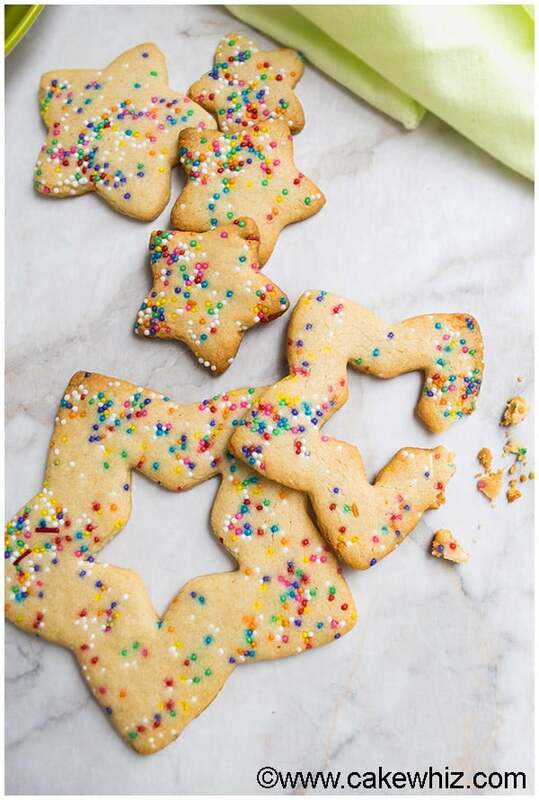 Use cookie cutters to cut out shapes and place them on a cookie tray, lined with parchment paper. Bake at 350 degrees for 6 minutes and then rotate your tray and bake for another 3 minutes. Your cookies are ready when they are light golden brown around the edges. Do you oil cookie sheet? I don’t oil my pans. I always use parchment paper.